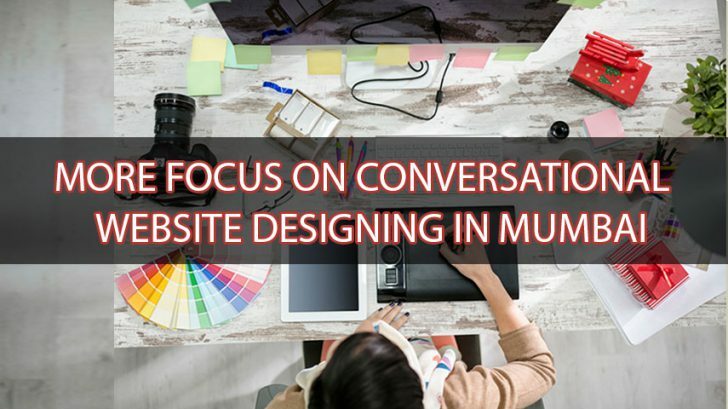 More focus on conversational website designing by professionals in Mumbai. Humans interact in the fascinating ways. They are socially awkward, communicate in varying styles, transferring knowledge personally, telling stories in a unique way to build trust. What happens when an artificial machine tries to evoke a similar response? Today increasingly conversational interfaces are becoming the newest UX design. Google will be releasing a new VA chatbot; Facebook has an updated Messenger platform Microsoft Windows too will have it. They have figured out (AI) can solve UX problems: making them from faceless branded websites and apps to feel really personal and lively. Chatbots have the ability to create a rather genuine, custom-made user experience. It is one that could be compared to a real live store experience — just like the smile you get, then a bit of chit chat then a friendly wink, making buying experiences personal and pleasant. This is an opportunity for a brand to extend and manage relationships with a variety of different customers. They can go beyond an extra mile from just being a product selling site. It is personal and a genuine branding experience! The experience is relatively new and a challenge for web designing company and services to instill in Mumbai, India. Unlike the usual standard graphical (GUI), the applications need to work seamlessly without much input. They need to provide a new value of leverage of the stored information. They need to, anticipate what the user needs. The usual standard pattern flows are not good with conversational design. One needs adjustments. 2016 can be called the year of the bot — one does not know if it is beginning of the bots’ triumph. The debate is still going on in 2017 early! Bots have been launched on Product Hunt and Google’s deep integration of Assistant for Android 2017 is also due. One is going to see this design concept integrated into the modern websites designed by web designing professional services, firms and companies in India to a higher degree with the popularity among clients and all the bugs being resolved. Bots make the UI interface conversational and more personal it will require work from the designing teams. An interface. that is likely to see be a shape in a lot of 2017’s top designed sites. The designing team will have an interest in “human” language a big for news for content strategists! The use of more conversational/natural-language forms into the design. Hopefully, this trend in conversational content and design by designing firms and services in India will continue. It has been launched and planned by Apex infotech a renowned web development company in Mumbai, India who can be your trusted partner in making your site more conversational. It’s up to the bots then after it is launched. I see grand success!